Two Dante Street homes will be among the properties facing demolition today in a hearing before the city’s Neighborhood Conservation District Committee, according to the Preservation Resource Center. One home, at 1037 Dante, was placed on the agenda as part of the city’s code enforcement efforts. The demolition of a double at 1922-24 Dante was requested by its owner. 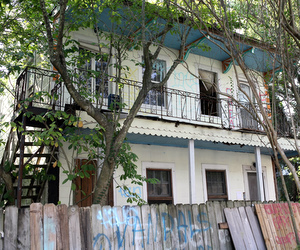 Other properties in neighborhoods around Uptown New Orleans are listed below, grouped by location with photos by the Preservation Resource Center. I am so happy. I am a neighbor and have watched as the owner, Jimmy Delery, walked away from this property approximately 5 years ago. It has smelled of death. When I walk by with my kids they call it the “stinky forest” for its smell and overgrown sidewalk. I can’t wait to see it not be an eyesore. It should not take 5 years of reports, tv reporters, fines and hearings for a house to come down or be taken away from the owner.